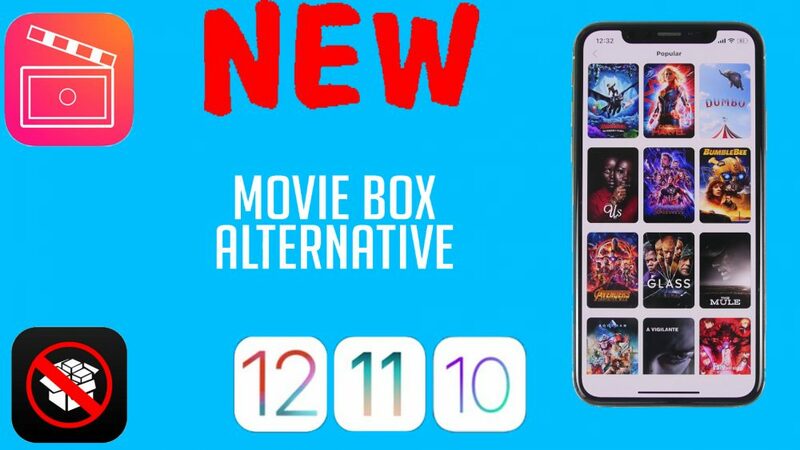 New Movie Box Alternative For iOS 12 – Are you an iOS user and looking for the movie box for your unjailbroken device then here is something interesting for you. in this article, I’m going to show you an amazing movie app for iOS 12 or earlier. it’s not a movie box but we can call it movie box alternative. Guys, Apple app store doesn’t have the apps like movie box & bobby movie pro. but there is a movie box alternative that you can download for free. In the comparison of the Android devices, iOS device users have just a few movie apps that allow iOS users to watch the latest movies & TV shows for free on their iOS devices. but some of the movie apps we can download on the jailbroken device. But in this article, I’m going to tell you about an amazing movie app that you can download free directly from the app store. also, I’ll tell you details about it and how you can use it for watching movies & tv shows. so let’s go ahead and let me tell you about the app. So guys, the app I’m talking about is Instant Shows – TV Tracker this is a free movie app that has recently been released and it’s really an amazing alternative to movie box. this is a real movie box alternative, where you can watch free movies and tv shows. it is really really amazing. So after downloading the app if you open it then on the home screen of the app, you will have the discovered tab where you can discover like different top movies and top tv shows. Of course, you will have featured movies and tv shows as well. also, you will have a search bar where you can search for a favorite movie or TV show then you will have a few tabs right there at the bottom. one is dedicated for the movies where you can find popular movies, trending movies, top-related all that cool stuff and then you will have also the same for TV shows where you can find trending popular or top-rated TV shows as well as search for any TV show that you want. You can also go to different genres and you can switch between different genres of movies and tv shows as well. so that’s really great as well. Of course, you will the watchlist in the app and you will have also your settings, you will have a pretty cold dark mode that you can enable for this app and make it look really really awesome. So watching a movie or a tv show is really easy. so all you gotta do is just basically find your favorite movie or TV show and just tap on it. It will take you to the next page where you will find different information regarding the movie and of course related movies as well. So you can watch the trailer or you can add that movie to your watchlist or remove the watch list if you already have it and if you wanna play all you gotta do is just tap on the red button which you will have at the cover of the movie. Just tap on the red button. just in case, you don’t see that red button it might mean that the app might be offline. You need just wait a few hours and it should be back online again just in case you don’t see the red play button. when you tap on the red button then you’ll have a list of sites from where you can stream the movie and you will also see the resolution of the movie at the left side. Just tap on anyone that you want to play and then it will start playing the movie on your device as easy as that. In a few seconds, the movie should load and start playing on your device. so that’s really really great as easy as that. you can watch any movie or TV show that you want to on your iPhone for free and that’s really really amazing. So this app is called instant shows and you can get for free from the App Store. you will find the link below. just click on the link and make sure to download it from the App store for free. so that’s basically it for this article guys. Thank you for reading it. I hope you guys enjoy the app. go ahead and share this post everywhere if you enjoyed app & article and don’t forget to visit daily on this website for more.